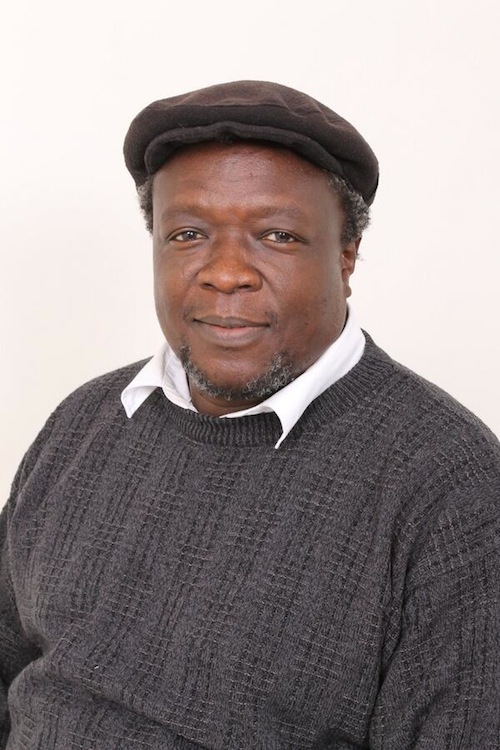 Zimya Neighbour: When A Director of Public Prosecutions becomes a Director of Public Criminality | Elias Munshya, LL.M, MBA, M.DIV. The case is very familiar to many of us. But for the sake of clarity, we might need to restate its facts. 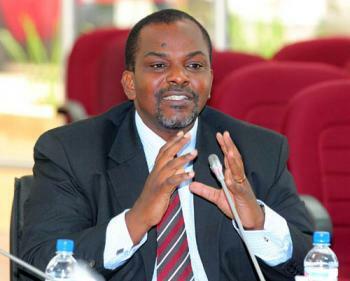 In 2013, Rupiah Bwezani Banda was in court appearing for various charges under the Anti-Corruption Act. We need not mention that Banda is a former president of the republic who nevertheless had his bombasa removed by parliament. So sad that the current Director of Public Prosecutions (DPP) wants to hide in a bombasa stitched with “nolle”. In our constitution, those accused of crimes are presumed innocent until they are proven guilty by an impartial and competent tribunal. However, in spite of this legal presumption a newspaper owned by Mr. Fred M’membe, a member of the Zambian bar, continued to describe Mr. Banda as a thief or as corrupt while the trial was on-going. Such characterization led to Mr. Banda’s legal team applying before the magistrate court that Mr. M’membe and his newspaper be cited for contempt of court. Contempt of court is a criminal offence and is punishable by jail or a fine. Mr. Banda’s lawyers applied that they be the ones to prosecute this matter. Their decision to do so made sense. It was their client who had been affected and our criminal procedure permits a party to commence a private prosecution. However, when Mr. Banda’s lawyers appeared in court to prosecute this matter, the DPP Mr. Mutembo Nchito took over the matter so that he could prosecute it himself. In our system of law, the constitution gives the DPP wide powers to decide both the operational and the policy side of prosecutions in Zambia. As far as private prosecutions are concerned, the DPP has the power to take over the matter, discontinue it or change some aspects of the prosecution. There is a reason why our laws allow the DPP to do so: that all prosecutionary power is reposed in at least one constitutional official. 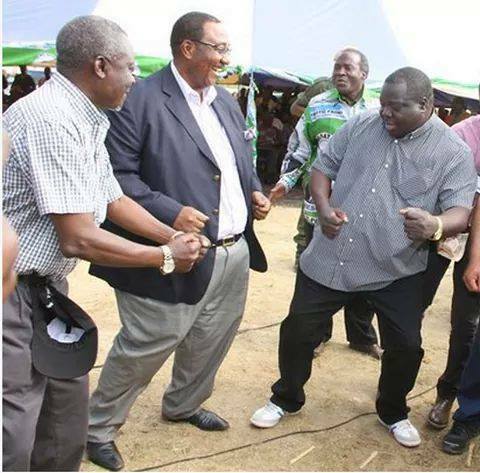 The only problem with Mr. Nchito’s action was that he is a personal friend and business partner of Mr. M’membe’s. Mr. Banda and his lawyers got concerned that while the DPP does have the legal power to assume the prosecution, he nevertheless was so close to the alleged contemnor, for him to ensure an effective prosecution. What is even stranger is that the DPP was going to prosecute Mr. M’membe who is his personal friend while Mr. M’membe himself uses the Nchito law firm as his lawyers. If this does not sound right, it definitely doesn’t smell right too. It is a matrix of confusion and a ticket for corruption. Mr. Banda’s lawyers took this matter to the High Court to ask the court to remove Mr. Nchito from prosecuting this matter due to the fact he was too close to Mr. M’membe. Mr. Justice Chalwe Farai Mchenga issued a ruling just this week. It is a powerful ruling. It is ruling that helps to restore common sense in our criminal justice system that seems to be held hostage by the infamous cartel. It should be simple common sense for any one to note that Nchito cannot effectively prosecute M’membe. Teti fibombe. The only thing Nchito claimed was that he decided to take over the matter from Banda’s lawyers because “the law allows him to do so”. You do not make decisions simply because “the law allows” you to do so. This cartel seems to have no respect whatsoever for principles of equity, common sense, and the rule of law. Regardless of whether the law allows one to take over any matter, it should occur to any reasonable woman that a close friend couldn’t successfully prosecute her friends. You do not need article so and so or CAP ntwenu kane of the laws of Zambia. All you need is simple common sense. Obviously, Justice Mchenga pumped a little common sense into the matter and has removed Mr. Nchito from claiming to take over the matter from Mr. Banda’s lawyers. According to Mr. Justice Mchenga, Nchito is a business partner of Mr. M’membe and as such he cannot objectively prosecute this matter. Additionally, according to the honourable judge’s finding, Mr. Nchito could intervene in prosecutorial matters if the matter has reached the “public interest” threshold. Nchito was wrong at law to assume this matter because he used the wrong legal test. He used the “personal interest” test and not the “public interest” test. If I were to add something to the honorable judge’s words, I would say that Nchito’s interest might have been worth at least K14Billion. And it is to this K14 Billion I must now turn. It is common knowledge that Bo Nchito and his friend Fred M’membe decided to diversify from running law firms and newspapers to running indeke. They became ba cenda mundeke. It was not enough to deal with legal clients they wanted to fly airplanes. Like I mentioned last week, there is nothing wrong with flying airplanes, but “zimya neighbor” with alleged stolen money is not good for the country. In our laws, a corporation is a legal person and can contract debts on its own. However, if directors of a corporation having known that their corporation is dead and yet they still go ahead to contract debt for the corporation in order to allegedly steal from the corporation, those directors cannot be protected by the law. I am not in any way alleging that Nchito and M’membe used Zambia Airways to steal from the Zambian people, I am merely stating that according to some charges brought against Nchito recently, this could as well be a possibility. But we may never know until an impartial court decides on the matter. If this matter came up to trial the question will be simple: having regard to what the directors knew about the company, did they go on to contract K14 Billion debt from the Zambian people knowing full well that the money will not go to the corporation but to their pockets? If this cash went to their pockets with intent to keep it in their pockets and deceive the Development Bank of Zambia then there is a criminal case. For sure the Zambian people will not know the truth until the courts decide. However, before the courts get to hear this matter, the DPP Mr. Mutembo Nchito walked into the courtroom and entered a nolle prosequi just like he had decided to be the one to prosecute his friend in the Bwezani case. It seems to me that there is a pattern here, a pattern of thievery, corruption and confusion. This cartel seems to be using constitutional power to escape criminal liability for their alleged misdeeds. However, just as ruled by Mr. Justice Mchenga in the case of M’membe, I believe the same principles should be used in the case of Mr. Nchito’s nolle. An alleged criminal should not escape alleged liability by invoking to enter an alleged nolle thereby depriving the Zambian people some alleged truth about the alleged criminal whereabouts of their alleged K14 Billion. The DPP should save us the drama and help us escape the word “alleged”, so that we can come to the truth about Bwezani, Nchito, M’membe and the K14 Billion. COUNSEL SAMAMBA, LENNOX TRIVEDI, PhD Cand. Intnl Trade and Investment. power] is [authority] reposed in one person to change the legal position of [another]. It therefore connotes the [movement] of property to or from the person vested with power to or from the subject of the exercise of the same. It follows therefore that the DPP cannot competently exercise Article 56(3)(c) power under the Zambian Constitution to thwart criminal proceedings instituted against him or her for the simple reason that property still remains [within] him after the exercise of the same. What a prudent and advised person may do is procure someone to act in his or her office and let them enter a nolle in their favor. It follows therefore that whatever the DPPP purported to do in the aforesaid regard is a total nullity.